Circle skirts are quite possibly my most favorite skirt style ever! They are great on their own and even better when slightly modified. You will love how easy these looks can be made. This one is super easy. 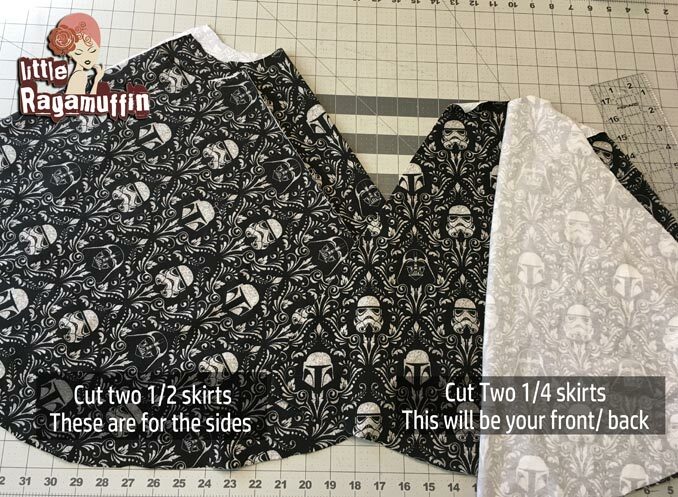 Just cut one skirt about 2″ longer than your top skirt. I like this because it adds a a bit of volume and an accent color to your skirt. This show the double layer look as a skirt only, by adding a waistband. 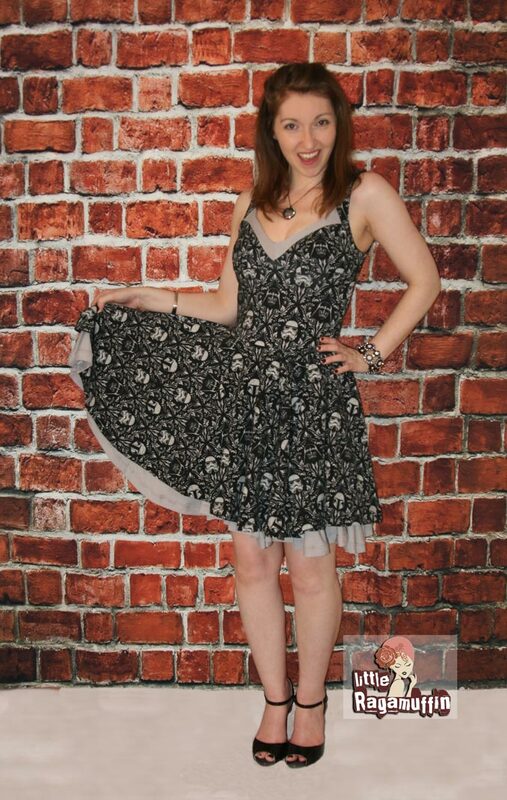 To make this dress see my Sweet & Lovely Dress Tutorial. 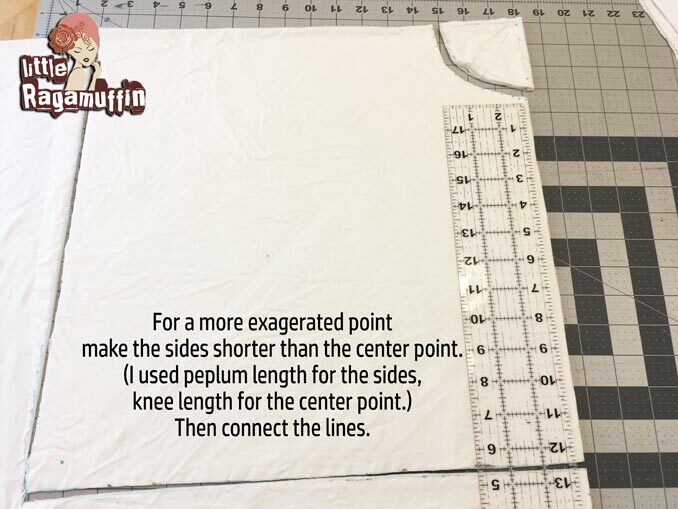 Start at the top and cut the fold 1.5″ down. 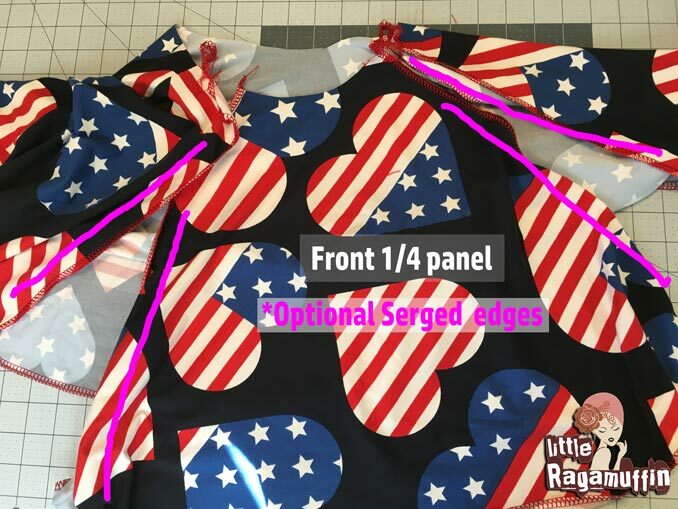 *Optional* serge all raw edges- I find this helps with hemming. 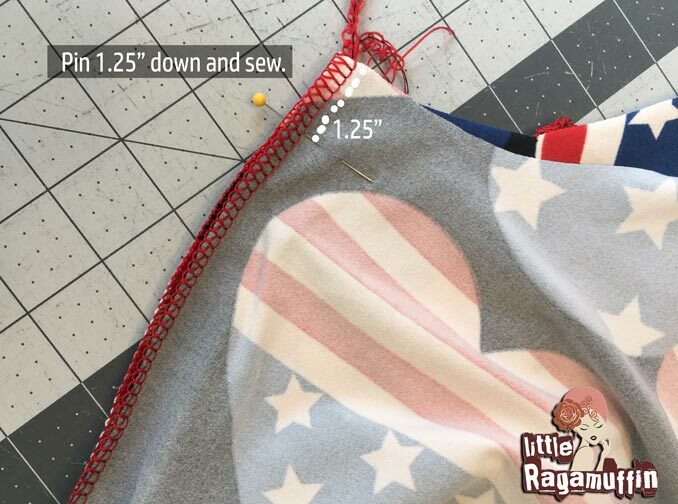 Starting at the top of your cut curve, with right sides together, sew down 1.25″-1.5″. 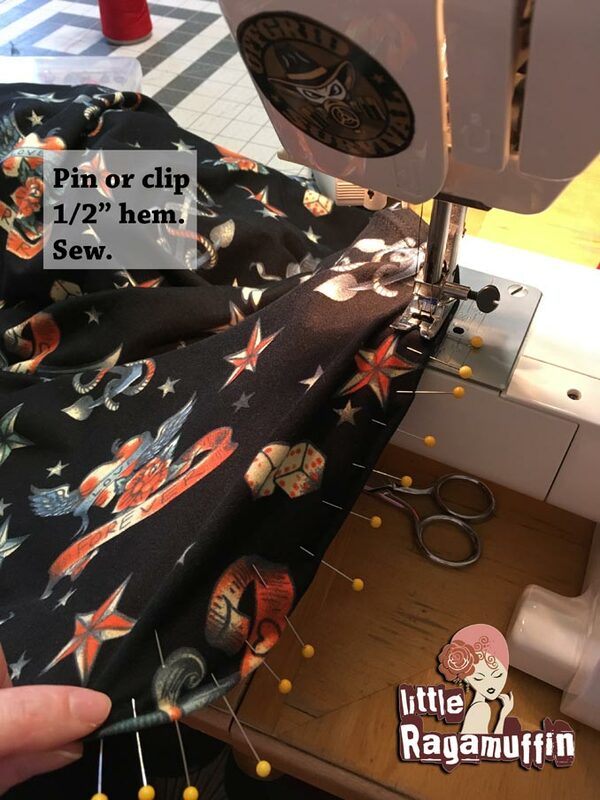 Pin or clip 1/2″ hem all the way around the skirt. Quarter your skirt. Marking with pins or clips. 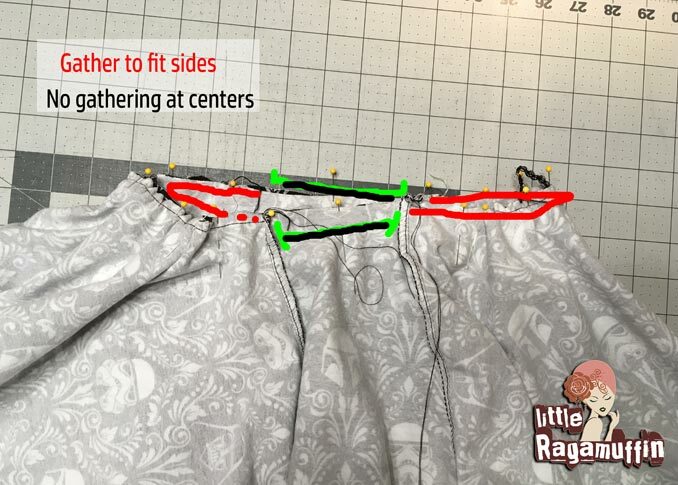 Lay on top of the right side of your second skirt, matching quarter marks. Pin/ clip to your bodice,matching quarter marks. 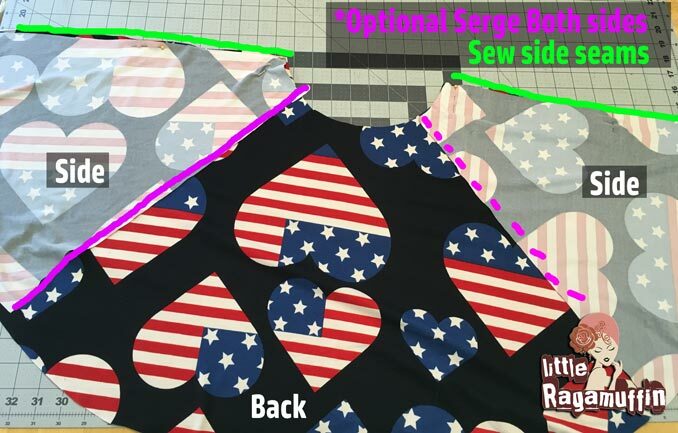 Sew/ Serge skirt to bodice. 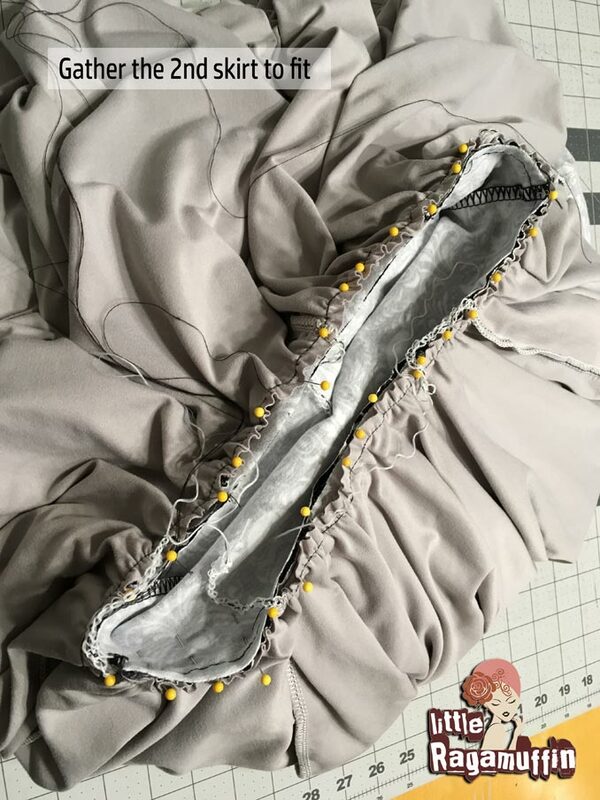 Mark skirts and bodice in quarters. Split one of the front quarters in half for split skirt placement. Divide your front half into 3 sections. Front center- 1/4 panel cut out. You will be left with 2 side sections 1/8 panel each. 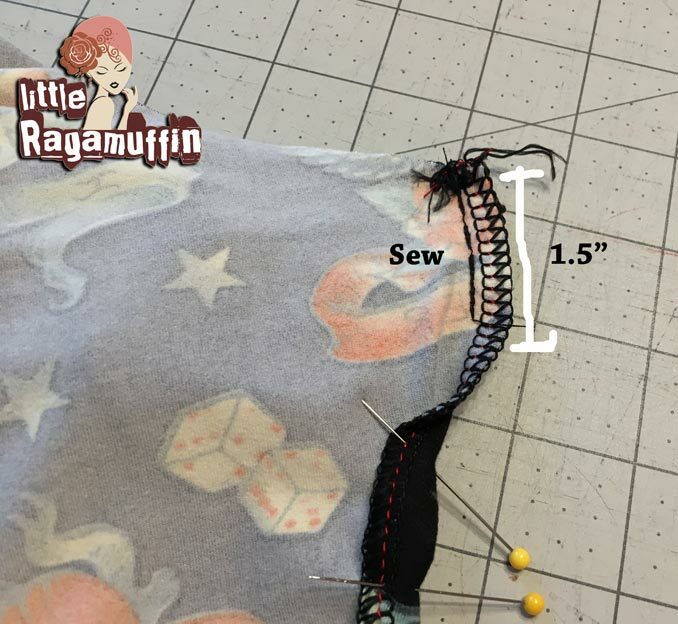 This will start at 0.5″ inch hem at the top and finish at 1″ hem at the bottom. Mark quarters on your top and bottom skirt. Top stitch your top skirt to your bottom skirt along your split hems. 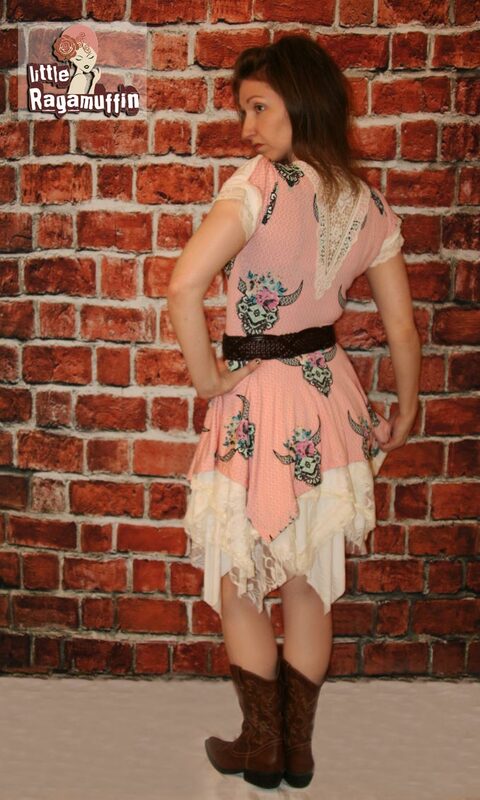 Match up quarter marks- center front/ back/ sides – on both bodice and skirt. 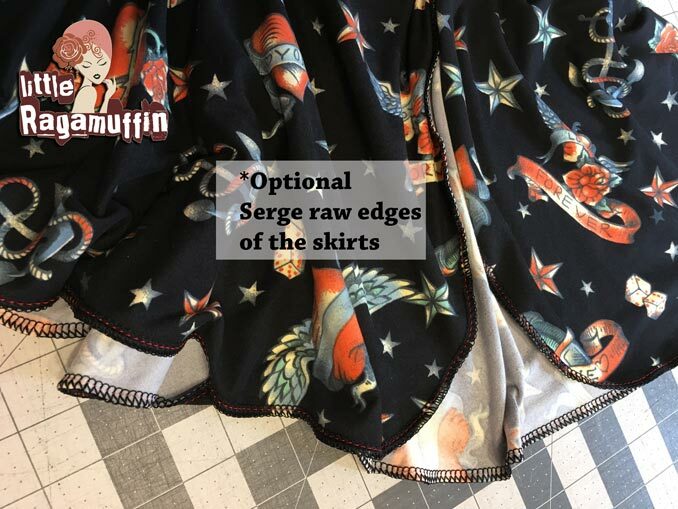 Sew/ serge together. 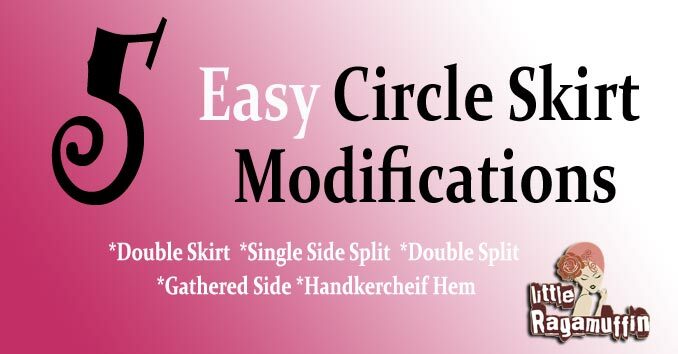 For a side gathered skirt, you will be cutting “extra” circle slices. 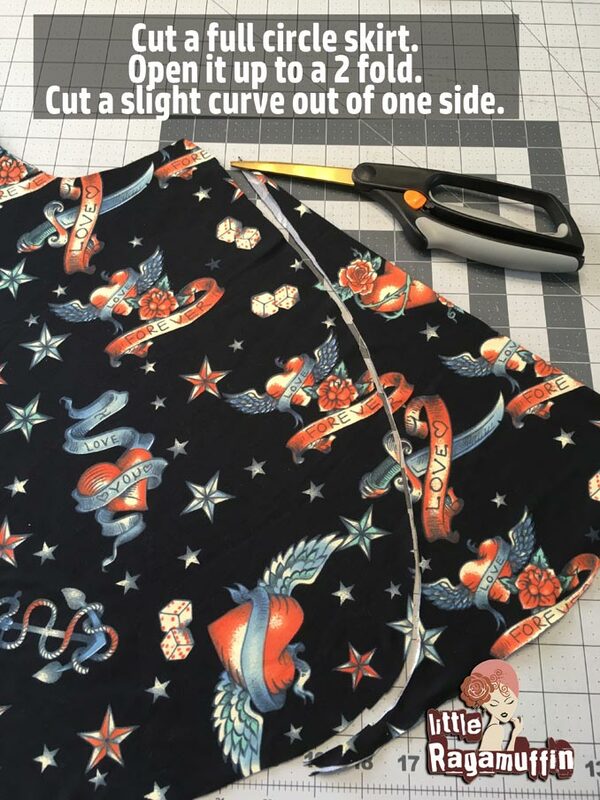 Cutting an additional 1/2 circle and adding that into your sides will give you a little extra hip volume. The more you add to your sides, the more volume your skirt will have. 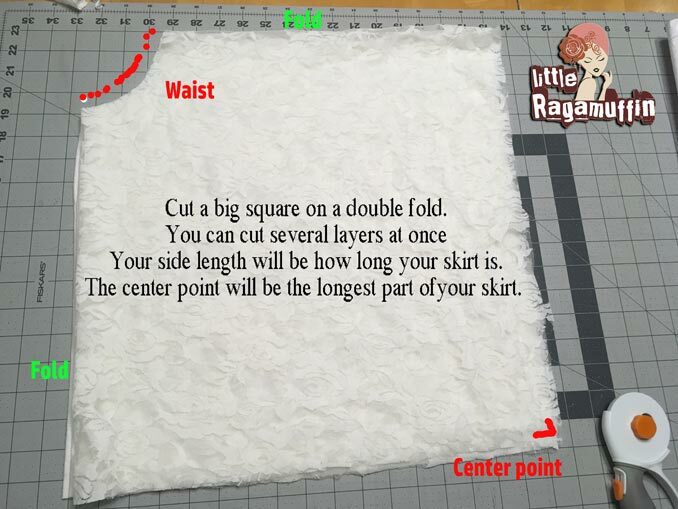 The addition of the second full 2x gathered underskirt will also increase your skirts fullness. But remember, the more skirt material you have, the heavier your dress will be. I like a lighter weight material for this style (or at least the under skirt) Double Brushed Poly is a good example or any light wight knit. Front and Back 1/4 panels, sides 1/2 or 3/4 panel for each side. 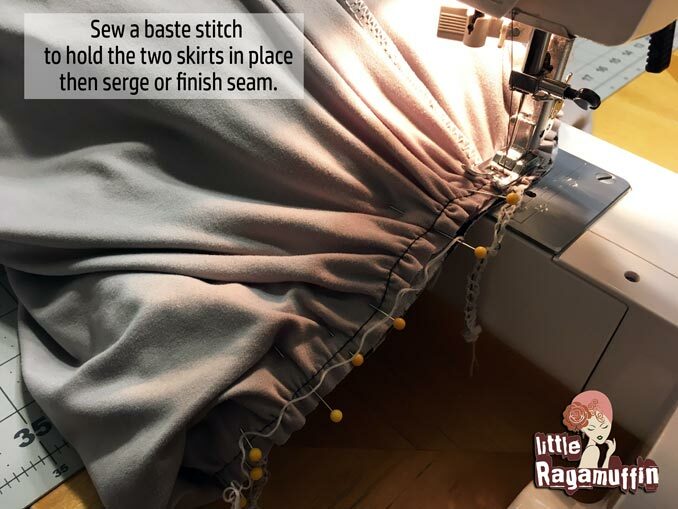 Sew seams to create one large skirt. 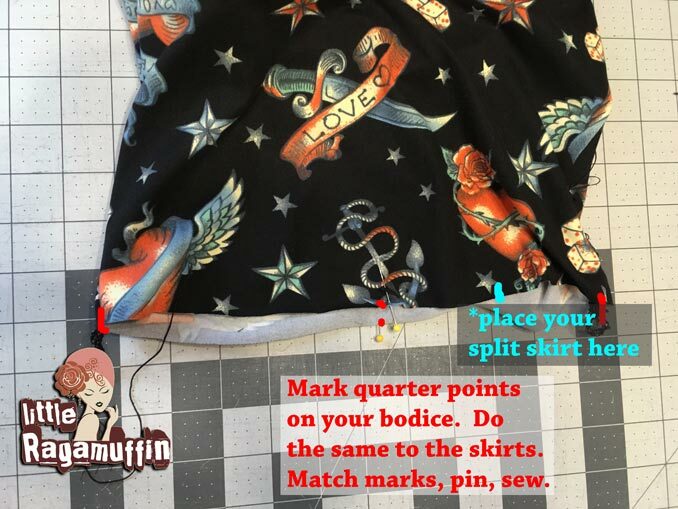 Mark quarter points on your skirt and bodice. Gather the sides to fit evenly. 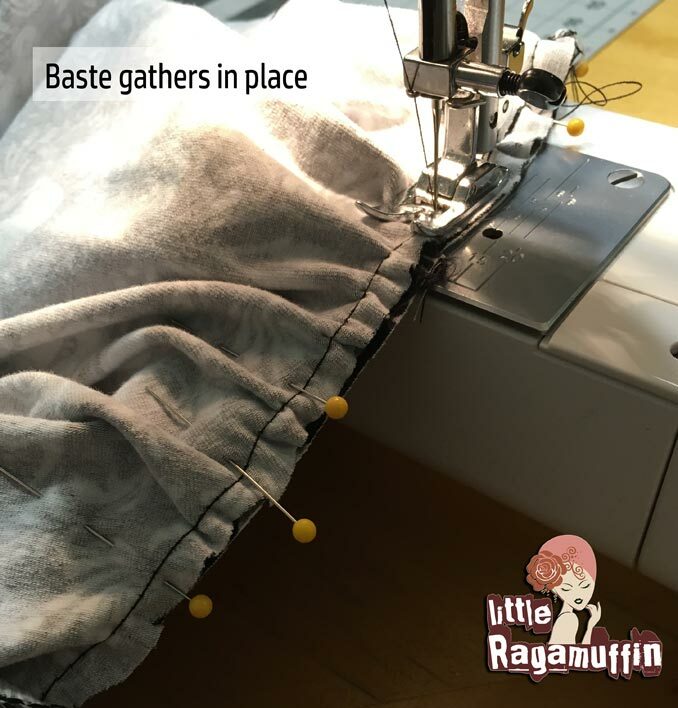 Baste gathers to your bodice. 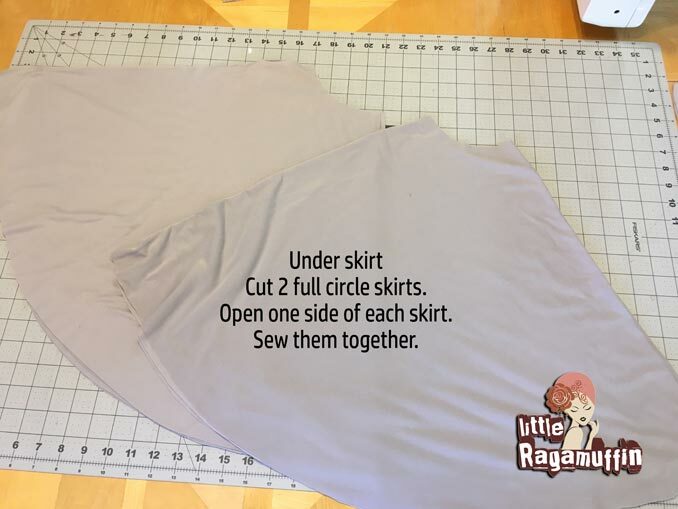 Add 2nd skirt if you’d like. 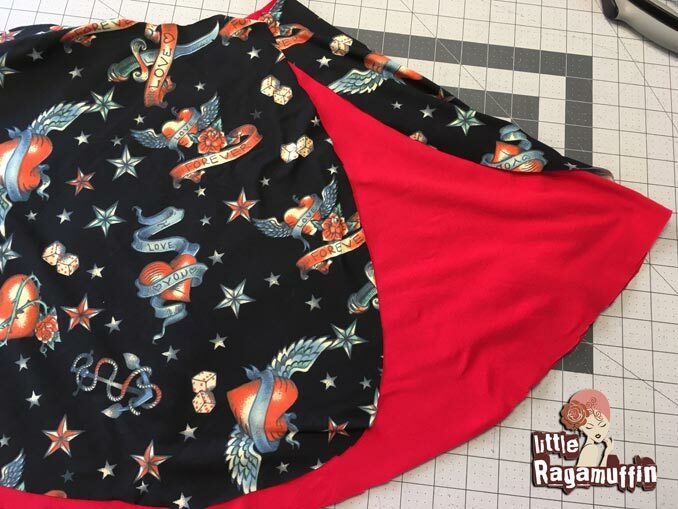 Sew/ serge your skirt to your bodice. *This skirt has a 2x top and bottom skirt. 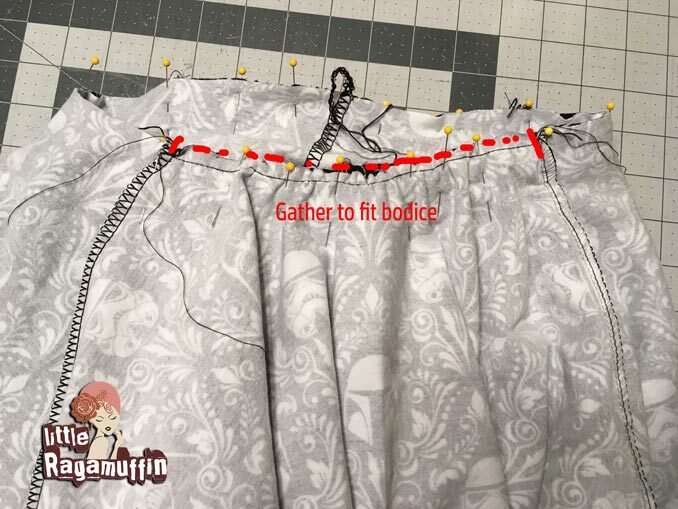 You do it the same way, just have more gathers in the sides for a fuller skirt. 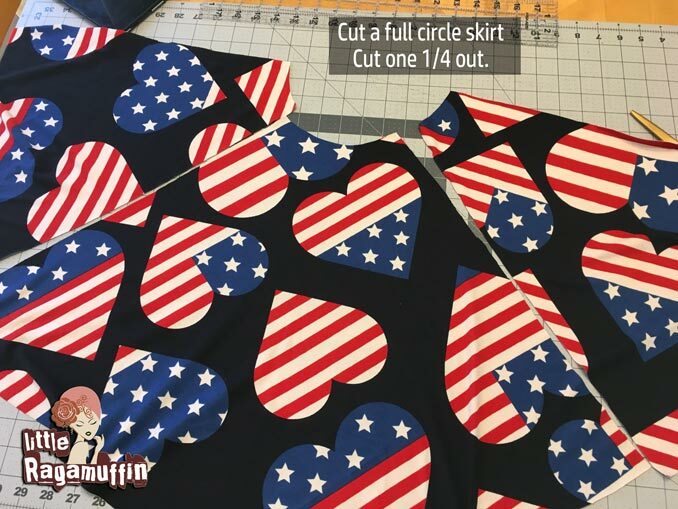 This is basically a circle skirt, but cut in a square. You are still cutting on a double fold and using the same waist cut out. The difference is your center point will be your longest part. 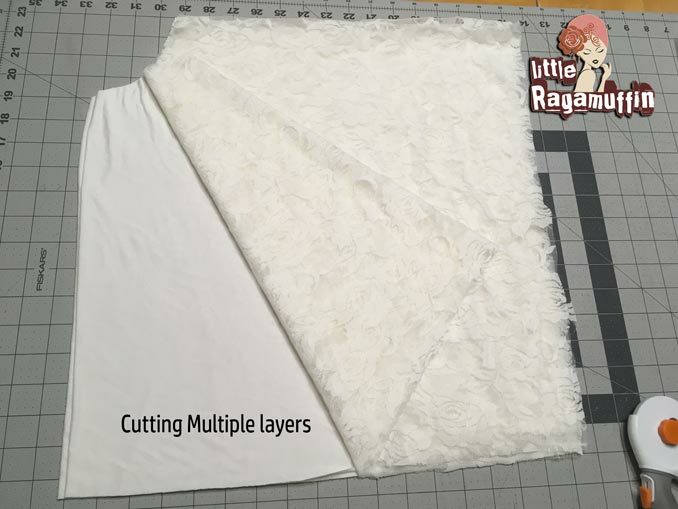 *Cutting multiple layers saves time! 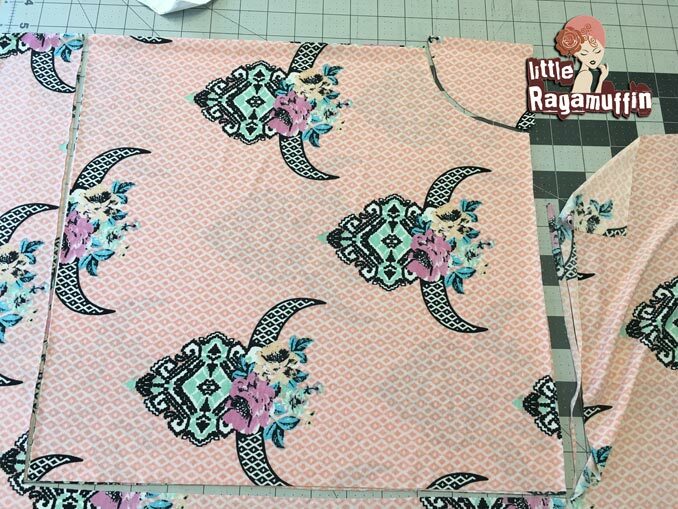 If you are using lace or other light weight fabrics you can do this by stacking your fabric before cutting. 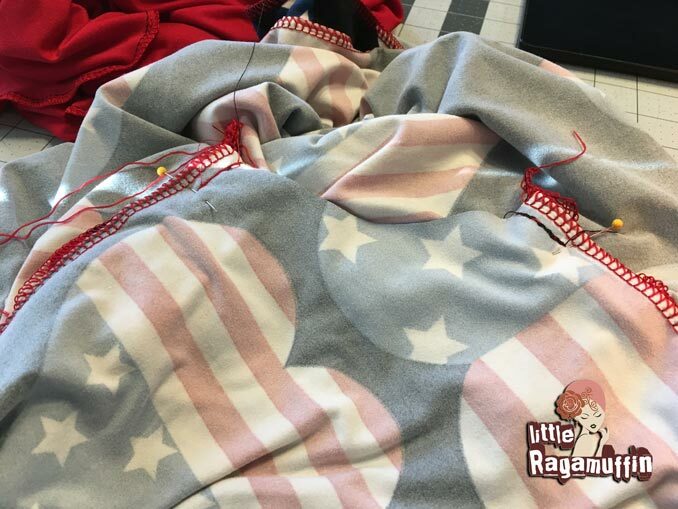 After you cut all your skirt layers ( I used a few different lengths- 1-2″ difference in layers) stagger them and pin/ clip together. Find your favorite area for the front, and mark your quarters from there. Add to your bodice. I used the skirt to add length and more volume to the dress. This helps so the dress isn’t so heavy. Dress alone is 3 layers adding the skirt makes it 5! Fabric used in this tutorial is mostly from So Sew English -website or their facebook group for sales and bundle deals. 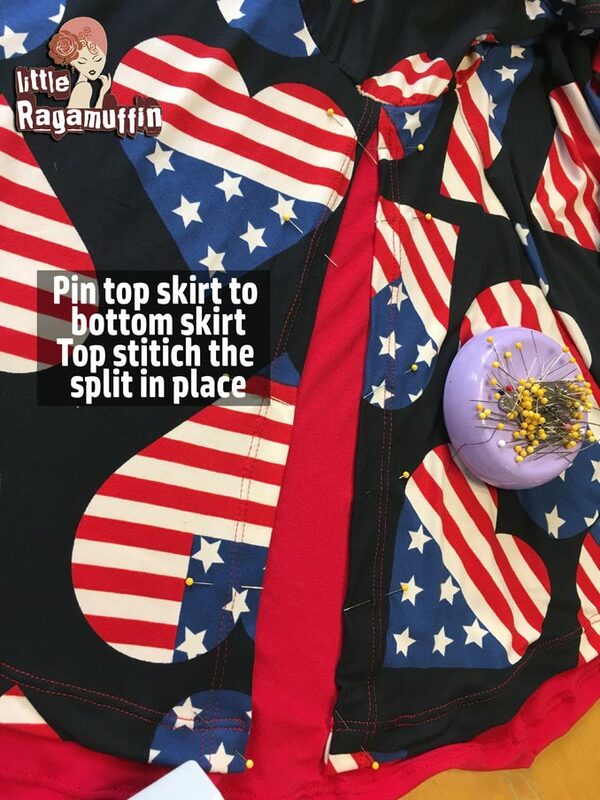 Use code RAGAMUFFIN10 for 10% off your total So Sew English order. That olive green dress with red pockets us adorable!! !